A celebration of simple and uncluttered design, the Leia Bed Frame exudes an effortless style that adds character to any bedroom. We all love extra storage, which is what the Leia Bed Frame excels in. With a convenient gas lift you can now gain that extra space to store all your belongings. 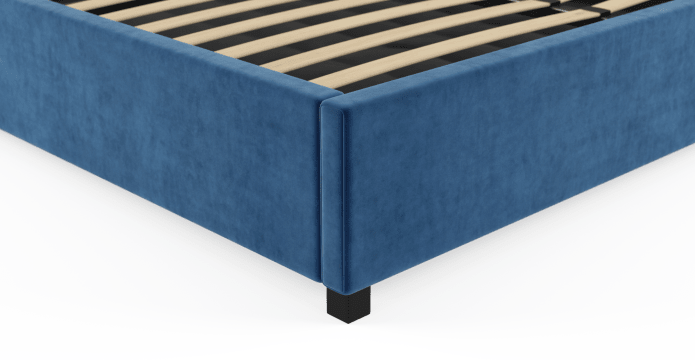 Made from Solid and Engineered Wood, the Leia Bed Frame is built to be a sturdy base for your mattress and the beginning of a sound nights sleep. 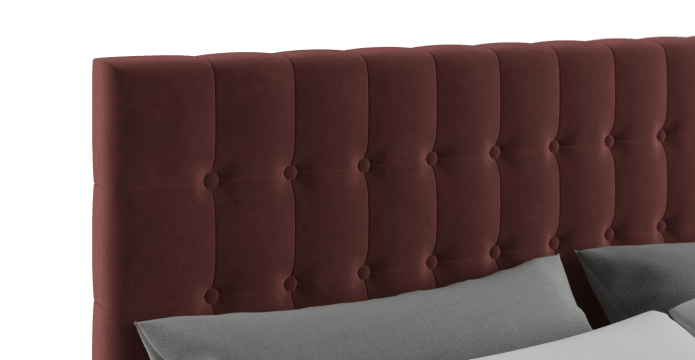 The Leia's distinctive button studded headboard is instantly recognisable and is a welcome modern revamp on a classic design! A friend recommended Brosa and we have been more than happy with the bed. It was for my daughter for Christmas and she feels like a real princess now !! I am very happy with the quality queen size bed and customer service was excellent. Very surprised with the quality. Easy enough to assemble. Great storage. Have already recommended to family & friends. Already looking for our next purchase from Brosa. 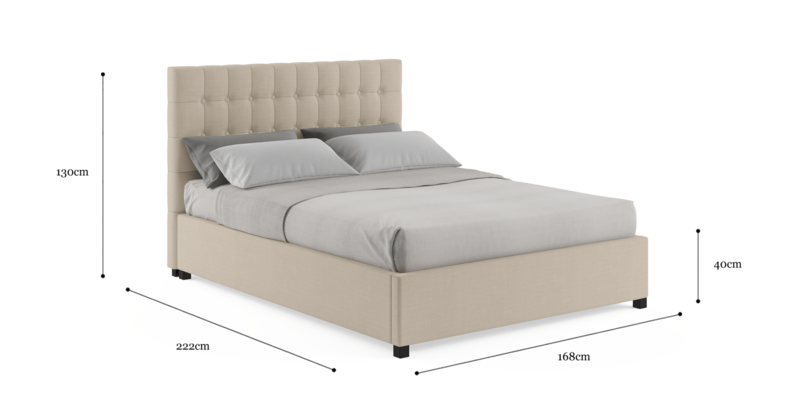 I was extremely happy with the bed I purchased and the fact that when I enquired as to where the order was up to there was constant contact. I have highly recommended you.. It has been nice to deal with a company who displays Manners and common courtesy. Thanks again. We moved into our first home recently and had a recommendation from a friend to try Brosa out. We got a few pieces including the gas lift and they are great. The gas lift in particular is really useful for storage. We'll be recommending more friends to Brosa soon. 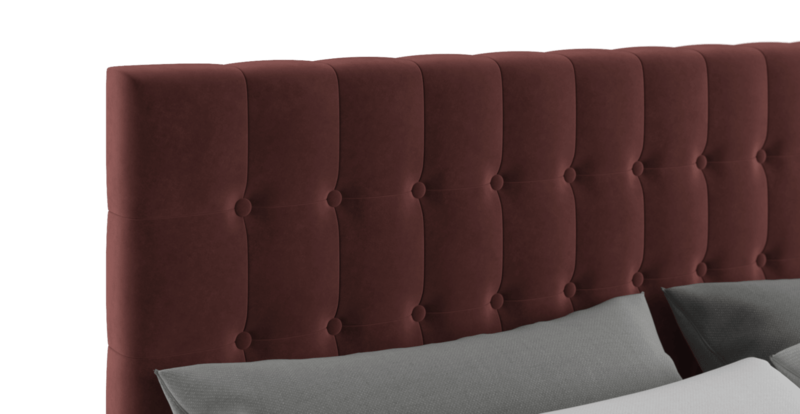 See, touch and feel our fabrics used on our Leia Queen Gaslift Bed Frame. For Free! Simply select up to 3 fabrics and add them to your cart. Delivery is on us.